State Officials went back to the books and found $43 million in overlooked funds for common education. A new report finds Oklahoma is near the bottom of the list nationally on the quality of education it provides to students. Education Week’s “Quality Counts” report card, being released Thursday, ranked Oklahoma’s education system 48th out of the 50 states and the District of Columbia. The annual report, which changed this year to focus more on educational outcomes, looked at academic achievement, school funding and the chance for success students have when they grow up. Oklahoma’s overall letter grade in the report was a D+, which placed it ahead of Mississippi, Nevada and New Mexico. Massachusetts led the nation with a B. “This report reinforces what we already know: there is an urgent need to increase educational outcomes and educational attainment in Oklahoma,” said Alex Weintz, communications director for Gov. Mary Fallin. “Gov. Fallin is committed to using every tool available to raise the bar in our classrooms. “This an all-hands-on-deck issue, and the governor is actively working with educators, parents, lawmakers and the business community to pursue improvements,” Weintz added. The report highlights challenges that have been discussed by Oklahoma lawmakers and education advocates and leaders for years. • 45th in per-pupil expenditures when adjusted for regional cost differences. • 35th in the percent of taxable resources going to education. • 37th in the rate of students scoring at least a 3 on AP exams, which have a 1-5 scale. • 42nd in the growth in the rate of students scoring a 3 or higher on AP exams. Among the few positive findings for Oklahoma was that it ranks among the top 10 states with the smallest differences in math and reading scores between students categorized as living in poverty and those who are not. 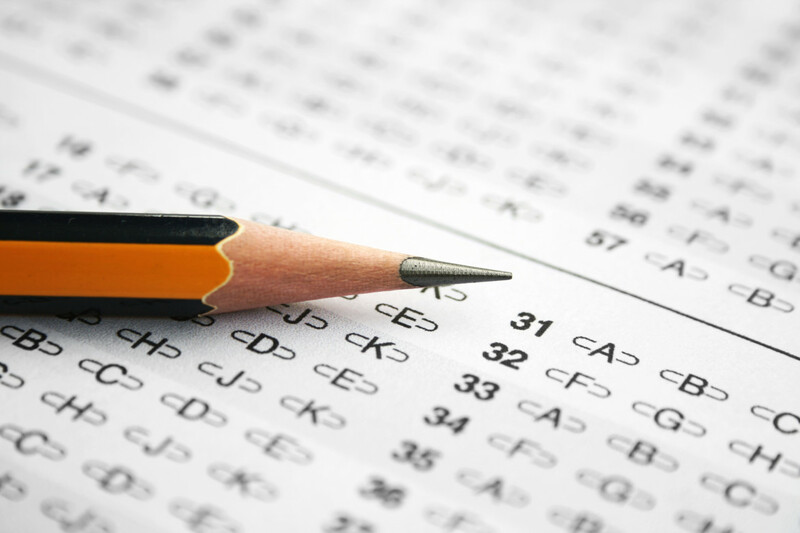 The scores were taken from the 2013 National Assessment of Educational Progress. NAEP is a national exam given to a sampling of students and is used to compare academic achievement among states. Despite the small gap, Oklahoma ranked 40th or lower overall in NAEP scores on math and reading for fourth- and eighth-graders. The state also ranked 43rd in the Quality Counts chance-for-success index, a score used to measure the long-term impact that education has on people. Among the factors Oklahoma ranked poorly in were family income, the number of children who have at least one parent with a post-secondary degree, preschool and kindergarten enrollment, and the number of residents pursuing a college degree. The state scored well in the number of adults with a full-time job. It was in the middle of the pack in high school graduation rate.